Today Tibetans all over the world gather to commemorate an unforgettable event in the history of our country. We observe and honor the thousands of valiant Tibetan men and women who on this day in 1959 filled the streets of Lhasa to revolt against the Chinese Communist occupation forces. On that day, Tibetans stood up against the Chinese government with the courage and determination to proclaim and protect the Tibetan Government and His Holiness the Dalai Lama. Thousands of Tibetans lost their lives and therefore as we commemorate this day, Tibetan Youth Congress pays our deepest respect and homage to our brothers and sisters inside Tibet and in exile who have sacrificed their lives through various forms of protests against China’s illegal occupation of our nation and vow to continue our work for the freedom and independence of Tibet and the Tibetan people until the Tibet issue is resolved. Tibet was brutally occupied and the Tibetan people fought back. This resistance continues to this day. These courageous Tibetan’s resistances remind us and the rest of the world that it was not a “peaceful liberation” as China claims. 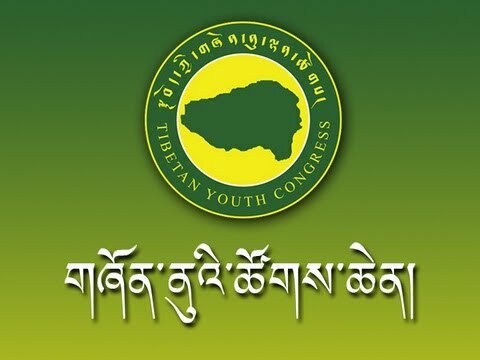 Therefore, we take the opportunity to honor and dedicate today to the Tibetans inside Tibet who day in and day out endure the illegal Occupation yet continue to find ingenious ways to resist it for our freedom – for our future. The Tibetan people continue to be oppressed, discriminated and denied even basic human rights. Tibetans have been systematically arrested, detained, tortured, and killed for merely carrying out non- violent protests against China. The brutality of the regime and its intolerance towards political dissent is evident in the way it has over the decades treated political prisoners. Most recently on 5 December 2014 Tenzin Choedak, died two days after he was released on “medical parole” nine years short of the completion of his 15-year prison term. In fact he was barely alive at the time he was returned to his family. Choedak had reportedly dislocated jawbones, damaged kidneys and was vomiting blood. He was physically emaciated and had suffered brain injury. Every bone in his feet was broken. According to the Tibetan Centre for Human Rights and Democracy this suggests that he may have been subjected to the falaka, or foot whipping torture technique. The falaka involves beating the sole’s of the victim’s feet with a heavy cable or whatever else is available. It causes extreme pain up the victim’s body and the feet to swell. Choedak was imprisoned for his alleged involvement in the popular 2008 Uprising where hundreds of Tibetans lost their lives. Prior to his arrest, Choedak worked with a European non-governmental organization associated with International Red Cross. His responsibilities were mainly environmental protection in Lhasa and Shigatse region of Tibet. He was only 34 years old. Despite the knowledge of brutality and risk to their lives, Tibetans inside Tibet continue to resist and fight. Tibet continues to burn. The number of self-immolations inside Tibet since 2009 has now reached an unprecedented 136 with the latest activist Kelsang Yeshi, a 38 year-old monk who self immolated on 23 December 2014. His slogan at the time of burning were the most common expressions demanding the return of the Dalai Lama to Tibet and freedom for Tibetans. These self-immolations protests clearly indicate that Tibetans inside Tibet want freedom and independence from the current illegal occupation of Tibet. The Tibetans inside Tibet are doing every bit they can to express their aspirations. Those of us living in exile have a responsibility to fulfill those aspirations and towards our movement. 10 March is a day when we reflect upon history and the events that unfolded in Lhasa. We must understand what the uprising was for and most importantly when we observe this Tibetan National Uprising Day, we must work to fulfill the wishes and demands of those that sacrificed their lives for Tibet. 10 March is also a day to remember who we are and where we are headed to and as a Tibetan to pledge your commitment and responsibility for your country – and in doing so, understand that unity, optimism and strategy lies at the core of our struggle. We call upon Tibetans living in exile and inside Tibet to remain united and steadfast in our movement. The Chinese government will never be able to break the will and spirit of the Tibetan people. Tibetans in Tibet and in exile remain more defiant than ever and today we send a message to China that until and unless the Beijing government changes its stance on Tibet, the Tibetan people will continue to rise and resist and our Revolution will grow stronger and bigger. Finally, on this day we pay our humble respect and tribute to our spiritual leader His Holiness the 14th Dalai Lama. We Tibetans remain forever grateful for the work he has done for Tibet, the Tibetan people and humanity. The message of love and compassion that His Holiness preaches is the ultimate way to bring peace in the 21st century across the world. We pray for the long life of His Holiness and wish him a very Happy Birthday as he turns 80 on July 6 later this year. On behalf of Tibetans inside Tibet and in exile – Thank you, your Holiness the 14th Dalai Lama.